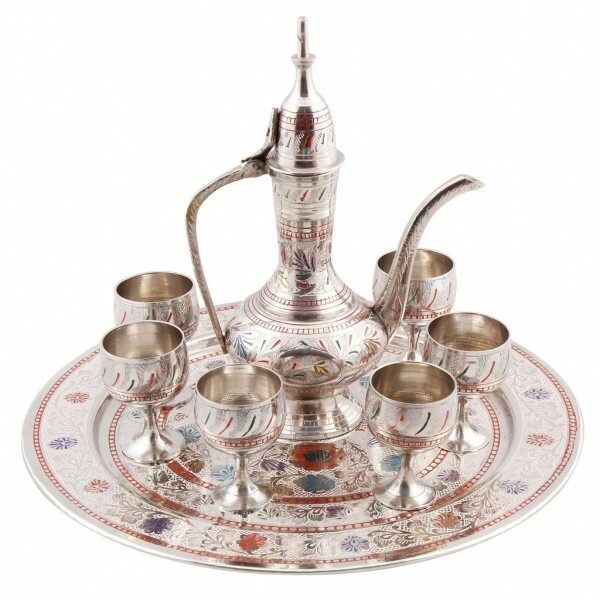 Handicrafted Wine Set In Antique Pattern Is Made Of Pure Brass. 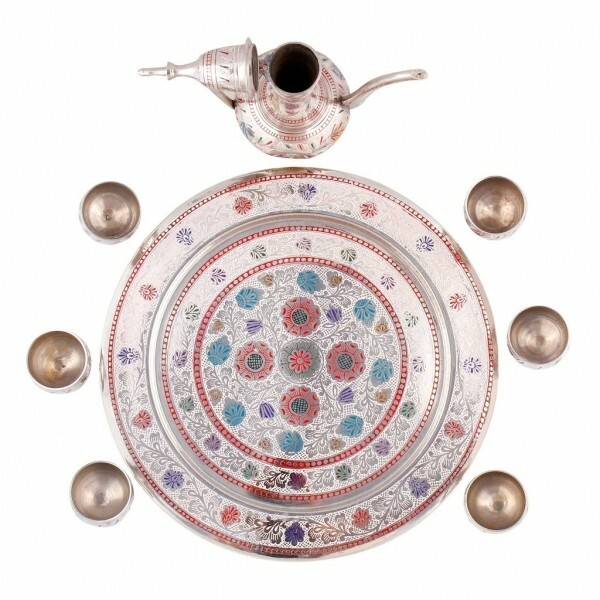 The Surahi, Glasses And The Tray Are Decorated With Fine Colourful Meenakari Work All Over. 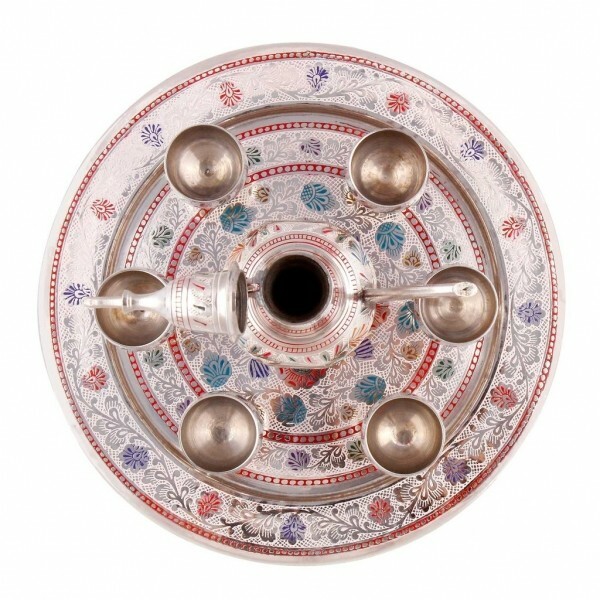 One Dispensing Surahi Around 8 Inch High Of Capacity Around 90Ml And A Round Serving Tray Of Diameter Approx. 10 Inch. Used for Indoor and Outdoor decor. Dimensions: Glasses Lxbxh: 1.5X1.5X2 Inches (30Ml), Surahi Lxbxh: 4X2X8 Inches (90Ml), Serving Tray Diameter: 10 Inches. 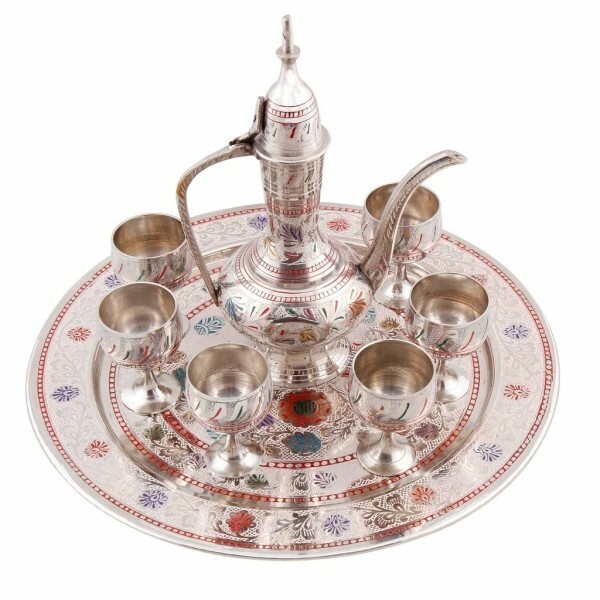 Specialty: Antique & Unique Pattern Handcrafted Wine Set. Finish/ Color : Silver and Glossy Finish.